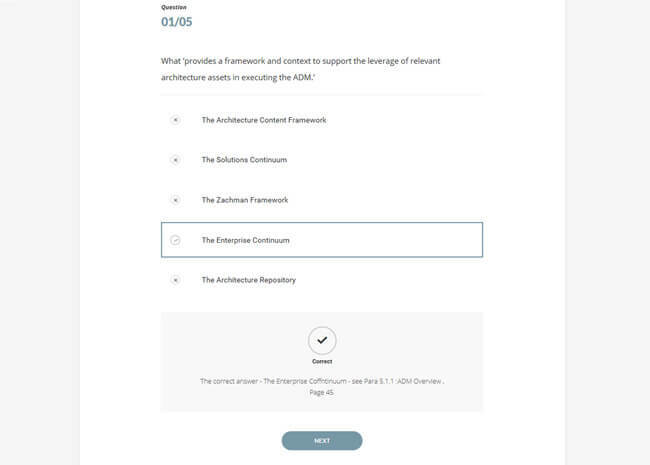 This TOGAF Foundation & Awareness Suite provides students with a flexible, low-cost and high-quality way to kick-start a career in Enterprise Architecture. 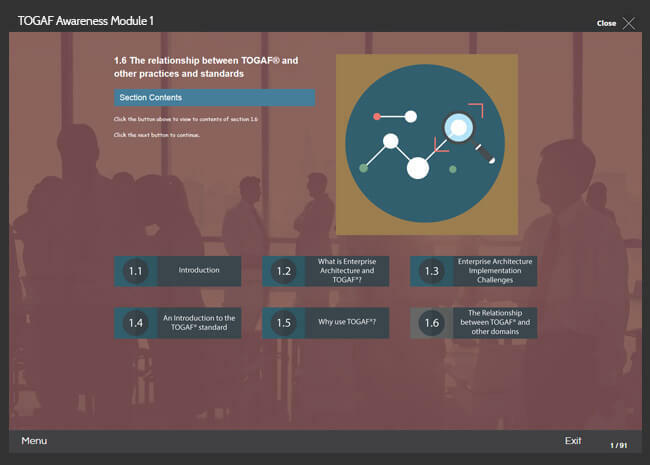 Upon purchasing this TOGAF Foundation & Awareness Suite, students will receive 6 months of instant access to over 16 hours of self-paced and fully-accredited course material, as well as a FREE exam voucher to sit the official TOGAF Foundation examination. The TOGAF 9.2 Foundation course included within this suite is fully accredited by The Open Group, the organization behind TOGAF. 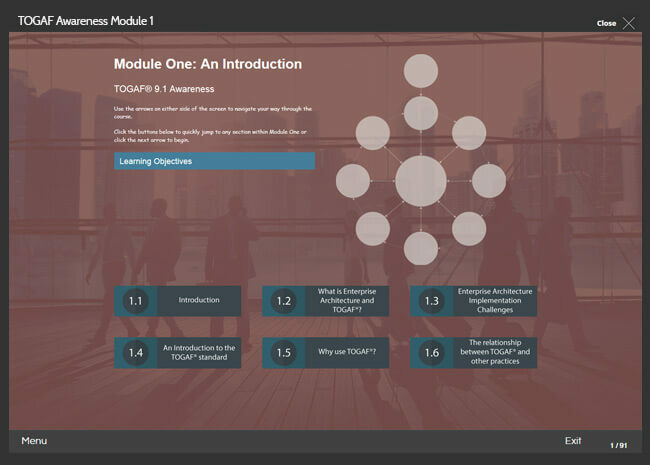 Our TOGAF Awareness course is designed to teach you everything you need to know about The Open Group’s TOGAF standard and how to get started with a career in Enterprise Architecture. First, students will learn the basics of TOGAF and how organizations can benefit from adopting it. 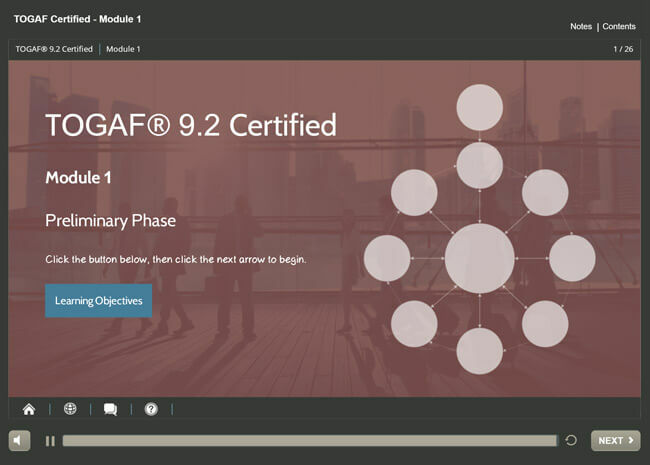 Next comes TOGAF 9.2 at Foundation level via our fully-accredited course. 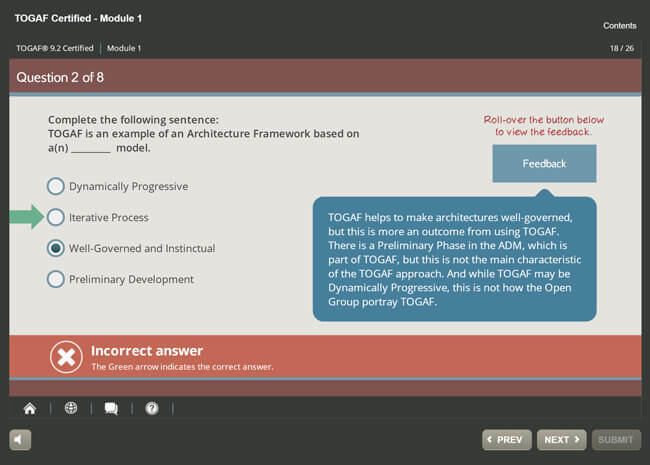 Finally, students will receive our TOGAF Practice Exam Bundle, which comes with 200 multiple-choice exam questions. 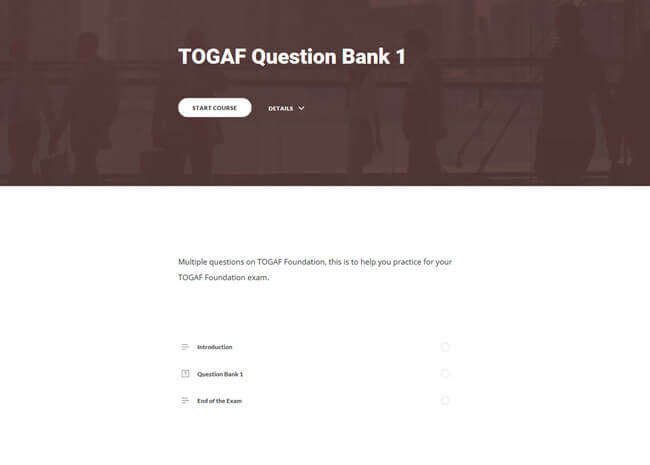 The answers also come with explanations in order to help you pass the TOGAF 9.2 Foundation exam on your first try. This awareness course is designed to equip you with all the need-to-know knowledge about The Open Group’s TOGAF standard. 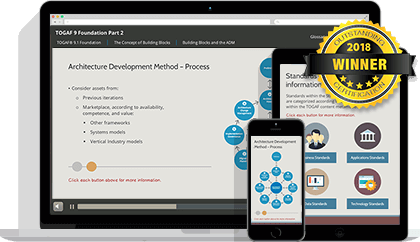 Completing this course will make you aware, confident and informed about what the TOGAF standard is, its background, how it works and what it can do for you and your organization. Kick start your path to TOGAF 9.2 Certification by taking this fully accredited, award-winning online training course from Good e-Learning! 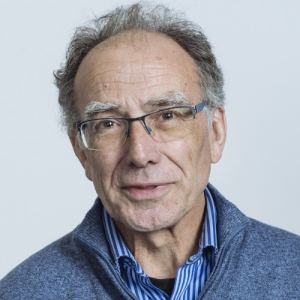 This course meets all of the learning requirements required for TOGAF 9.2 Foundation, includes a FREE exam voucher and has been fully accredited by The Open Group.